VOLUNTEERS NEEDED FOR BEACH CLEAN UP AND MORE. Even though we have weeks left of this beautiful summer to enjoy the end of summer will be here before we know it. Now is the time to save the dates of two great volunteer projects which will make the drive along the beach more scenic AND reduce pollution caused by runoff. 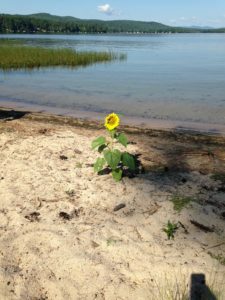 If you have an hour or so you can join your lake neighbors and help cleanup the beach area. Meet us near the entrance to the Donville Campground on Rt 153. Gloves and bags will be provided. If you enjoy planting this is the project for you. The YCC crew will be planting 100-150 ft of buffer along the beach. Stay as long as you can or as little as you can, extra hands would be appreciated. Bring gardening tools and gloves. 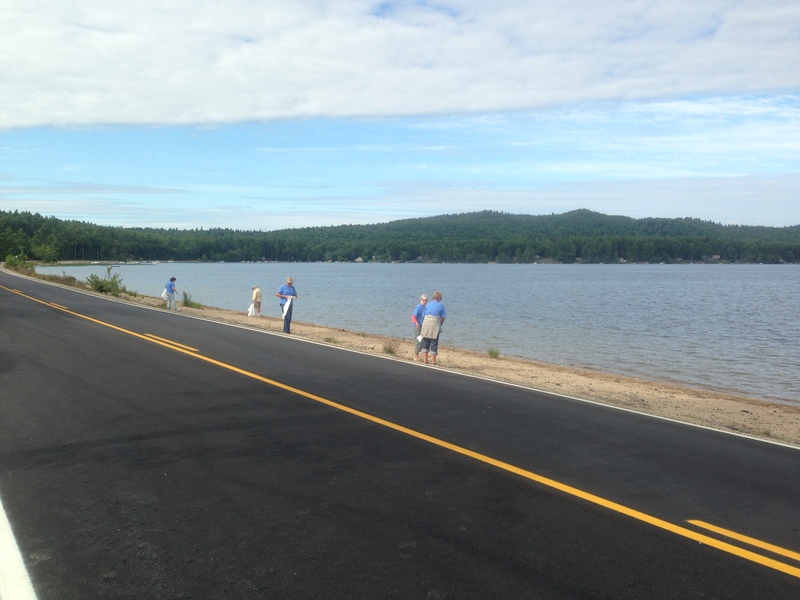 Just a reminder, please do not park on the beach side of the road as this has a negative impact on the lake. As always, thank you for your ongoing interest in and support of the health of Province Lake. 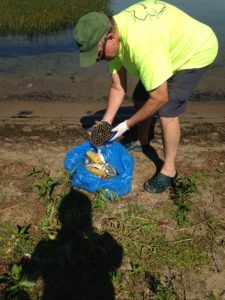 3rd Annual Beach Clean Up a Success! Do you have problems or concerns relative to your septic system? 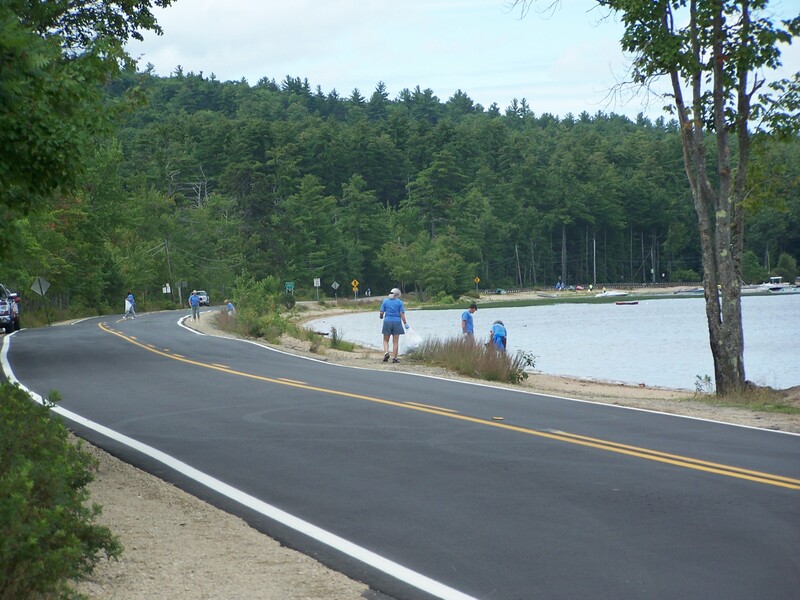 As part of PLA’s ongoing work to reduce the amount of phosphorus and other pollutants flowing into Province Lake, funds are available through the NHDES grant awarded to the Acton Wakefield Watersheds Alliance (AWWA) to conduct evaluations of septic systems around the lake. These evaluations are totally free to the property owner. The evaluation will provide information to the owner as to what is necessary to make the system function in an effective and environmentally friendly manner. Once a problem is defined, up to $3000 may be available to remediate the problem next year. These evaluations must be conducted before the ground freezes or after the spring thaw. There is no need to be present when the evaluation is conducted. Only six more evaluations are available. If you would like your property to be considered, please contact AWWA at 603/473-2500 or info@AWwatersheds.org to see if you qualify. Province Lake Watershed Management Plan Implementation Phase 1 – Residential Shoreline Restoration & Stormwater Management. Hi Everyone,Do you love our LAKE? Of course you do. Would you like to learn how to improve lake water quality while beautifying your property? Sounds like a WIN-WIN. How about getting a free lunch with that? 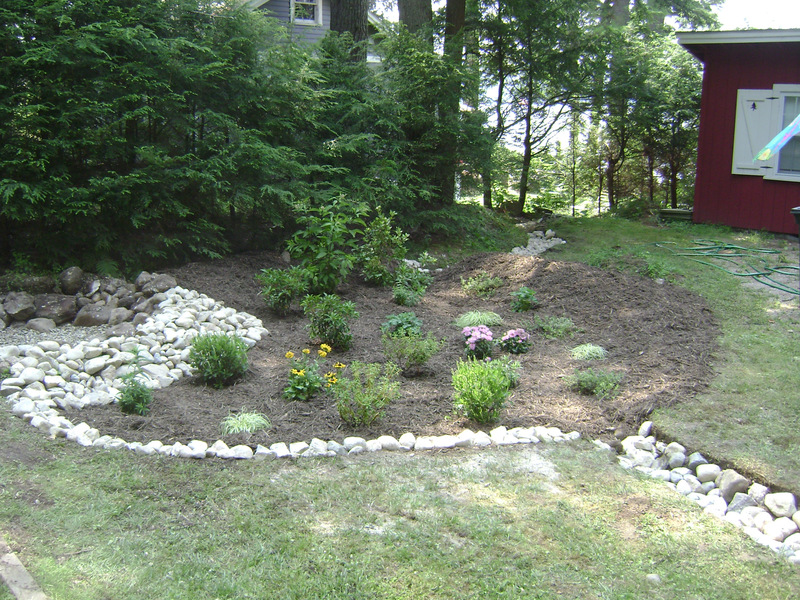 AWWA is conducting a “Landscaping for Healthy Lakes” workshop on June 27th! All are welcome to join in for this hands-on workshop in which you will learn how to plan and build simple rain gardens that will help prevent sediment from entering our lake. This event will be held at the Greater Wakefield Resource Center (254 Main St., Union, NH). The added benefit will be improving the senior center with some attractive landscaping! Springvale Nurseries will be bringing lots of low-maintenance, native plants and sharing their knowledge about which plants are suitable for various conditions around our lake. The workshop will begin at 9 AM and end with lunch for those who RSVP by June 24th. The Acton Wakefield Watersheds Alliance (AWWA) has been awarded funding from NHDES, through a grant from Section 319 of the Clean Water Act, for implementation of the “Province Lake Watershed Management Plan Implementation Phase 1: Addressing High Priority Actions and Building Local Capacity” project. Province Lake lies in Wakefield and Effingham, NH and Parsonsfield, ME and is listed on the NHDES 303(d) list as impaired for Aquatic Life Use due to high levels of phosphorus and chlorophyll-a and for Primary Contact Recreation due to recurring cyanobacteria blooms. AWWA invites interested contractors to submit qualifications for the development of the “Evaluation of Septic System Risk to Province Lake” program. The selected consultant will work closely with AWWA, the Province Lake Association, NHDES and other project stakeholders to evaluate high risk septic systems within the Province Lake watershed. AWWA invites interested contractors to submit qualifications for the development of a Road Management Plan for Bonnyman Road and Route 153. The selected consultant will work closely with AWWA, the Province Lake Association, NHDES and other project stakeholders to implement surface water quality restoration tasks within the Province Lake watershed. Who Were Those Blue Shirts on Aug. 23rd? 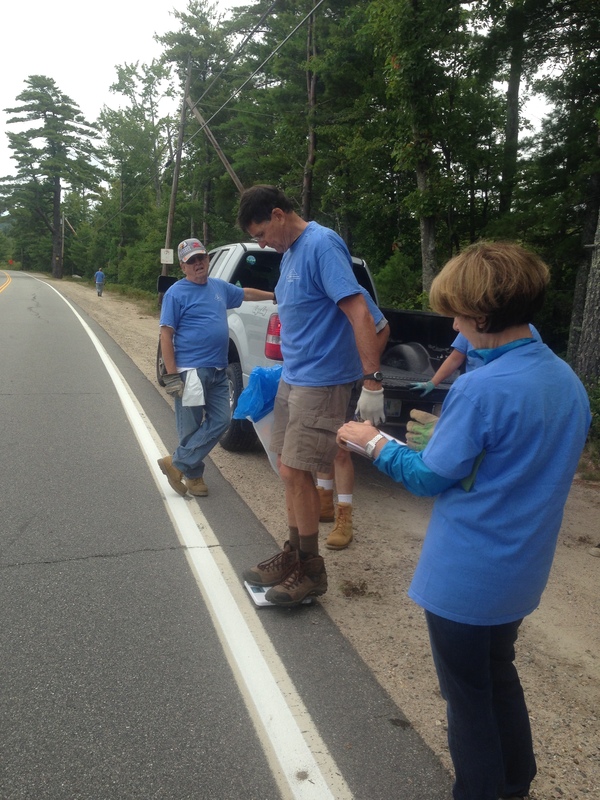 If you were out and about on the morning of August 23rd, you may have seen a bunch of people walking along Rte 153 with blue shirts on .. so who were they and what were they doing? 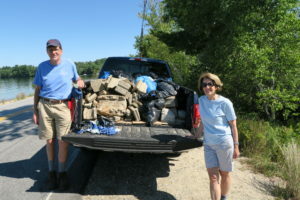 On that sunny morning, members of the Province Lake Association (PLA), Acton Wakefield Watersheds Alliance (AWWA), and concerned citizens in the area took to cleaning up the RT-153 beach at Province Lake. 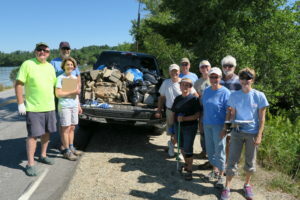 The cleanup began bright and early on Saturday morning as volunteers set out along the Rt-153 beach, picking up every piece of trash and debris they could find. Items found ranged in size from cigarette butts to signs, and over 2,400 pieces of trash were removed, resulting in 273 pounds of garbage being taken to the dump. Yes we did use a household scale to weigh everything! Some of the more disturbing items found on the beach were the 19 soiled diapers, 10 pieces of animal waste (i.e dog poop), and a used tampon. Sadly, we expected the hundreds (if not thousands) of cigarette butts picked up along Rt-153, however the most astonishing thing we found were the hundreds of remnants of fire crackers. Little bits and pieces of plastic, paper and cardboard littered the beaches from Fourth of July and other celebrations. The chemical issues with fireworks fired over lakes have been discussed before, however we were all surprised by the physical effect their casings leave on the landscape. The sheer amount and variety of trash on the beach is a sobering reminder of the need to increase the value of the lake in the minds of those who enjoy it. 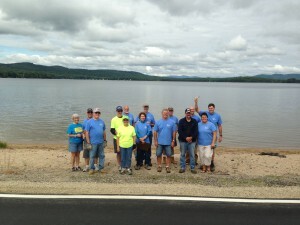 The PLA beach cleanup was a resounding success this year, and we hope it becomes a lauded tradition on the lake as the summer winds down. With a bit of hard work, we might just find ourselves picking up less and less trash each year. Special thanks to volunteers: Pete Dinger, Neil Rowe, Lorna Connelly, Ashley Connelly, Linda Schier, Donna Davis, Larry Moody, Carl Davis, Don Harrison, Rick Zani, Kathleen Zani, Phil Colburn, Marylyn Colburn, Kathi Healey, Loretta Campbell, Peter Campbell, Mindy-Schumann Vye, Tucker Vye, Jon Samuelson and Sam Wilson. 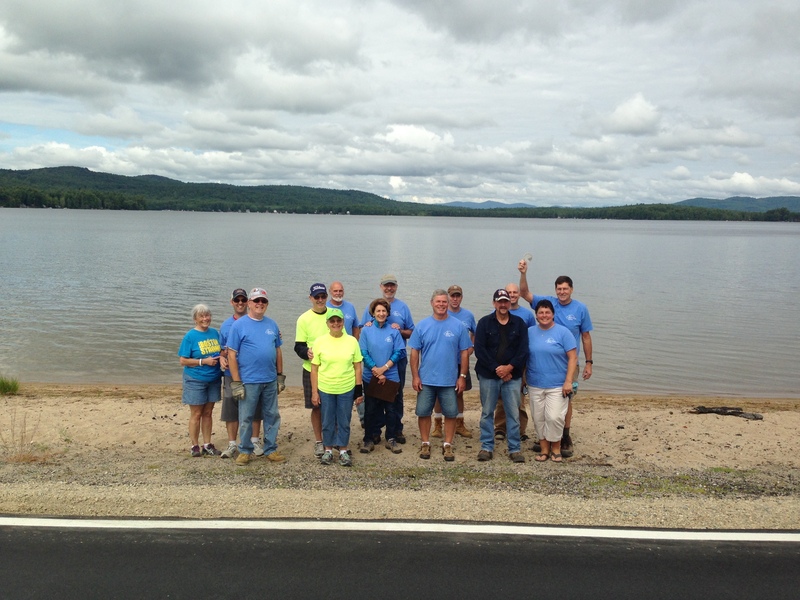 Thanks for coming out on a Saturday morning to make Province Lake a better place to visit and live! The Volunteers … or most of them. Annual Meeting Watershed Presentation Available! For those that could not attend the annual meeting on July 19th, the link below is the presentation that FB Environmental gave as the final watershed plan. Minutes from the meeting will be posted soon.